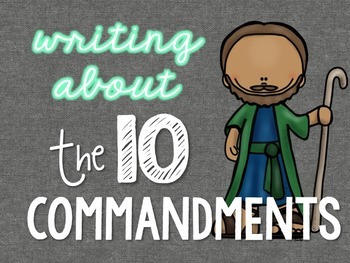 Looking for writing or discussion prompts to aid your instruction about the 10 Commandments? 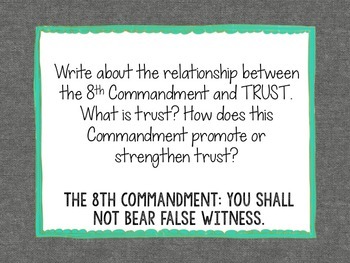 This fie contains more than 50 writing prompts suitable 4th-7th grade students. 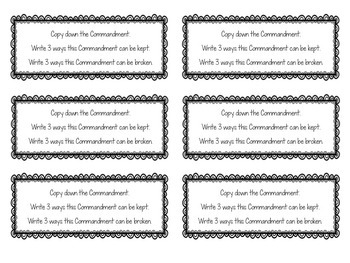 The prompts can be projected on an interactive whiteboard, or printed and pasted into students' journals. I hope you this product is a blessing in your classroom!